Bending and forming machines fill a vital role in the production of parts. They come in a variety of styles and sizes. Some are manual and some are automatic, but all perform essentially the same work: bending metal into different angles and forming it into pieces that fit specific applications. Bending of metal has been necessary since its earliest days of discovery. Previous generations heated metal and bent it by hand, usually by pounding it with a hammer. Later, larger hammers were powered by wind and steam to bend larger pieces of metal more effectively. Modern machines have been built off this technology. The use of electric motors and hydraulics are among the modern additions used to apply sufficient pressure to bend metal of many sizes. Modern Universal Bending Machines can perform many tasks through simple adjustments that require little effort. They often consist of a machine and a work bench, with the machine programmed through software packages. 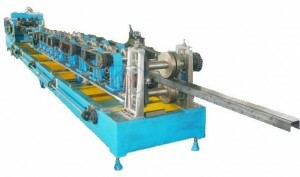 Basic machinery can be purchased and then later customized to handle expanded duties. The best bending machines can manipulate tubing and other types of rounded metal. The hand-operated bending machines still in use are small and task-specific, often used for die parts that need to be replicated quickly. The different types of bends described below require different types of tools. Standard: this refers to bends that do not require unusual geometric shapes and angles. They are usually used for large pieces of metal that have simple, uniform bends. U-bends: these are used when tight and narrow bends are required. The former is replaced by a mandrel, which has a more narrow geometry. Offset bends: these are used when two bends positioned closely together need to be performed in one step. Edgewise bends: these machine tools involve the bending axis being tight placed parallel to the side of the work piece. Special tools are needed to perform the precise work required by electronic angular measurements that produce unquestioned accuracy. Torsion bends: these occur when the tools are able to rotate the piece on a longitudinal axis. These are sometimes needed when complex assembly groups with standard bends are called for. Angular: Spring back compensation and electronic tools help to produce consistent angles within +/-0.2° of each other throughout the batch. The technology of angular measurement involves bending prisms equipped with bending bolds. The bolds rotate, giving a signal to ensure proper angle measurement. The computer then creates the final stroke and spring back of every bend, adjusting slightly for the type of material being formed. Stroke: bending prisms with electronic angular measurements are not suitable when bends are close together. When this is the case, the control unit must be switched from angular measurement to stroke measurement, which governs the bending ram and immersion depth of the punch. CNC bending and forming machines can have the computer built into them or have a PC operate them from an external work station. New programs are easily imported, and the best programming does not require much expertise to operate because the software asks for all relevant numbers and then communicates with the machine. Inputs are also easily corrected, and the screen clearly shows the part to be bent. These machine tools are often linked to others that perform related functions such as punching machines. This is easily accomplished since one type of software is used for programming all production steps at the same time. In many instances, a piece that needs to be bent also requires holes, so linking these two operations is a huge time-saver. Stamping presses are another machine commonly linked to bending and forming machines and operate similarly.